We are specialized in e-commerce project management and more specifically, we are certified Agency Modules Prestashop. In other words we create bridges between different services for e-commerce! Trained around a core of young entrepreneurs who have made their weapons in the web (and particularly Prestashop), we decided to unite to offer a set of broad services for businesses to start or evolve on the web. Internet market. Our skills range from pure project management to the development of a multi-support marketing and communication strategy. We define ourselves as a “360” agency, able to gather around us a complete herd of skills for the elaboration of ambitious projects in the web as in reality. – Pedagogy and empowerment of all project stakeholders. 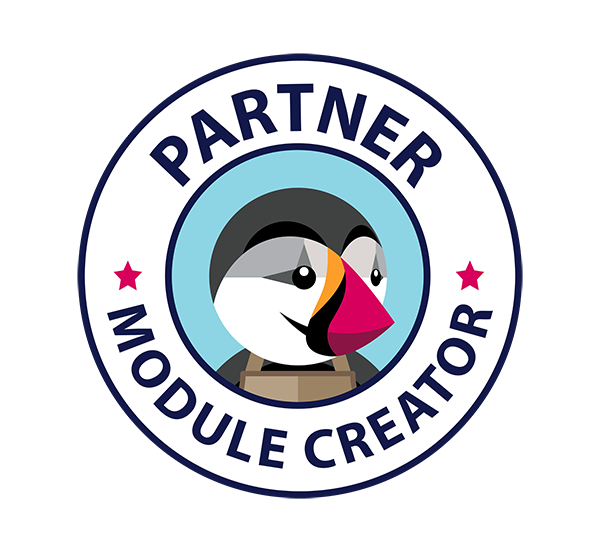 Owner of modules pushed on the marketplace, we are a team of passionate Prestashop, having seen it evolve over the years for our own needs. We seek excellence in our work, so the sites are optimized to meet the most diverse needs while remaining qualitatively technically.